FCPX 10.4.1 or above is required to use this freebie. Hi. Thank you so much for all your support and for giving us tools to make our videos better. We really appreciate it. One question: do we need to have Motion 5 app to use any of your freebies on FCP? I ask because when I try to use them on FCP, they just appear like a “missing file” (the red background with the warning exclamation mark). Thank you once again. 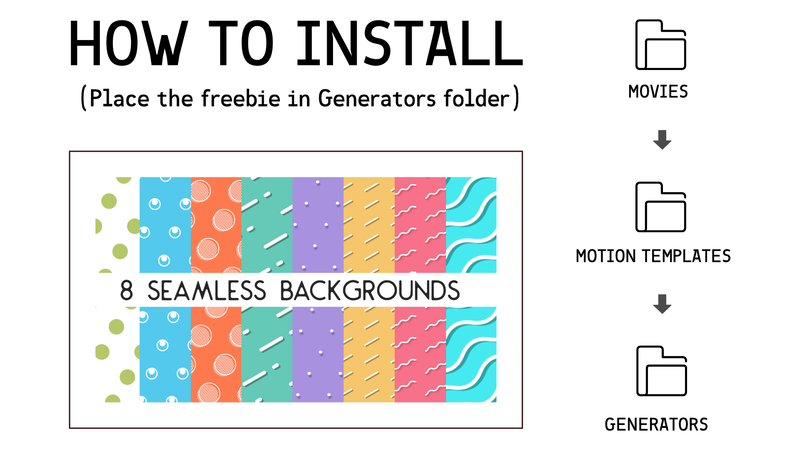 You don’t need Motion 5 to use the freebies (except for freebies named “project file”). The red warning sign shows up because you are using an incompatible version of FCPX. For instance, you’ll need FCPX 10.4.1 or above to use this 8 Seamless Background freebie. If you’re using FCPX 10.3.4 or any older version, it will not work. A freebie’s compatibility information is provided in its description.